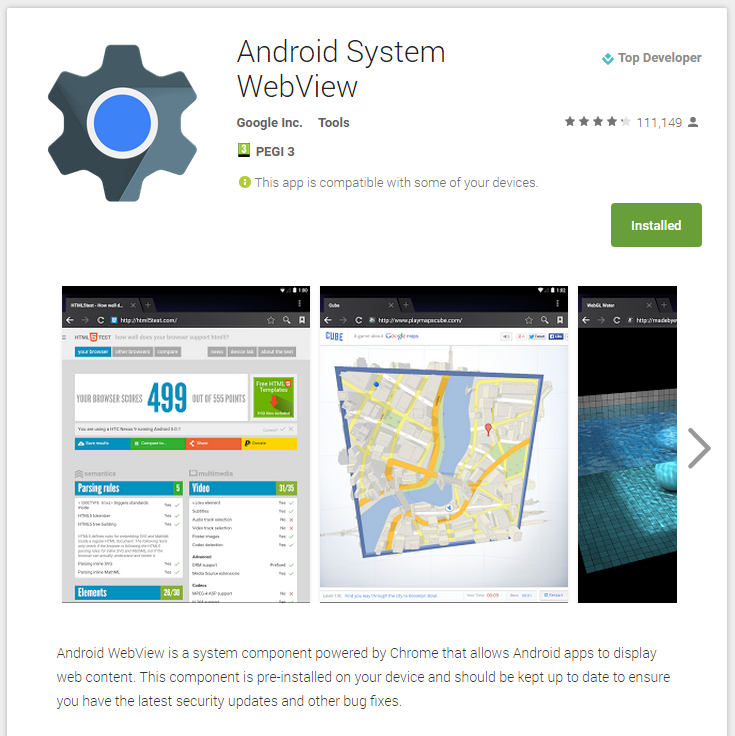 From Android 5.0 and up Google provides updates to the WebView component via Google Play (see here for the role of the WebView in Kiosk Browser), this is great because it keeps the WebView up-to-date meaning more compatibility for your web content. If you have Google Play configured for automatic updates you need to consider the impact this will have on your device, firstly whenever the WebView updates it automatically causes Kiosk Browser to crash - this is impossible to stop happening due to the nature of the system component. We automatically attempt to restart Kiosk Browser but this isn&apos;t always possible. Consider whether you want a user session terminated outside of your control? Secondly whenever any application update is being installed it causes most devices to perform poorly.